Hokkaido is a major production area that occupies about one-third of buckwheat nationwide but the productivity of buckwheat is extremely low in comparison with other crops. In order to raise the profitability of buckwheat farmers, it is not only important to develop varieties with stable high yield and high quality, but also essential to improve added value and promote the sixth order industry using these new varieties. Therefore, we are developing buckwheat varieties with stable high yield and quality, which have excellent agricultural traits such as shattering resistance. We are also developing breeding lines with useful properties such as semi-dwarf and large grains. Furthermore, we are introducing lodging resistance and semi-dwarf traits in Tartary buckwheat varieties that contain rutin (a type of polyphenol, known as antioxidant and lipid metabolism improver) about 100 times as compared with normal buckwheat, in order to contribute to the stabilization of yield and quality in Tartary buckwheat cultivation. At the production site, there is a high expectation for highly-profitable crops that can be introduced into the field crop rotation system in Hokkaido. 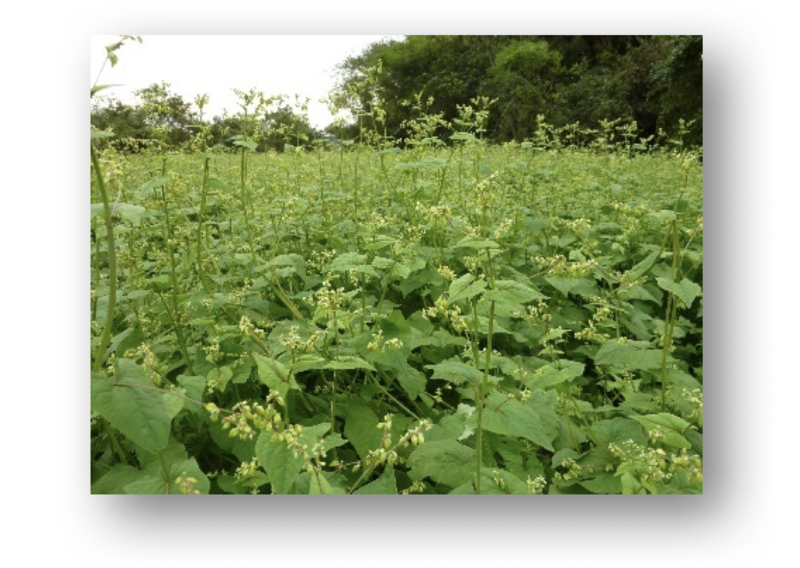 Various medicinal crops such as "touki"(Angelica acutiloba) and "soyou"(Perilla frutescens) are already being cultivated in Hokkaido but challenges remain in stable production technology when introduced into the field crop rotation system. We are trying to clarify the influence on other crops by incorporating medicinal crop of "touki" in the field crop rotation system and the establishment of cultivation technology. We have developed "Reranokaori"(FY 2009), which is excellent in taste with early maturity, large grain and high yield, and "Kitamitsuki"(FY 2015) with high yield, high one-liter weight and high rutin content. These varieties are contributing to the activation of the common buckwheat production area. For Tartary buckwheat, we have developed "Mantenkirari"(FY 2012) contributing to the efforts of the sixth industrialization through manufacturing and selling such as noodles, pasta and confectionery mainly in the Okhotsk area of Hokkaido.